This edition of Perspecta uses the Grand Tour, broadly conceived, as a model for understanding the history, current incarnation, and future of architectural travel. Perspecta 41 asks: where do we go, how do werecord what we see, what do we bring back, and how does it change us? 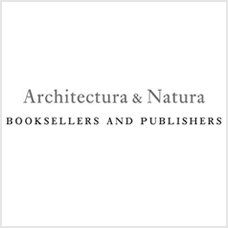 Contributions include explorations of architects' travels in times of war; Peter Eisenman's account of his career-defining 1962 trip with Colin Rowe around Europe in a Volkswagen; Robert Venturi and Denise Scott Brown's discussion of their travelingand its effect on their collecting, teaching, and design work; drawings documenting the monolithic churches of Lalibela, Ethiopia; an account of how James Gamble Rogersdesigned Yale's Sterling Library and residential colleges using his collection of postcards; and a proposed itinerary for a contemporary Grand Tour in America.Contributors Esra Akcan, Aaron Betsky, Ljiljana Blagojevic [acute accent overc], Edward Burtynsky, Matthew Coolidge and CLUI, Gillian Darley, Brook Denison, Helen Dorey, Keller Easterling, Peter Eisenman, Dan Graham and Mark Wasiuta, Jeffery Inaba and C-Lab, Sam Jacob, Michael Meredith, Colin Montgomery, Dietrich Neumann, Enrique Ramirez, Mary-Ann Ray and Robert Mangurian, Kazys Varnelis, Robert Venturiand Denise Scott Brown, Enrique Walker Architectural travel, from the Eternal City to the generic city.